And we’ve been doing this for the last 35 years. We’ve been based in the Bournemouth, Poole and Christchurch for all of this time. 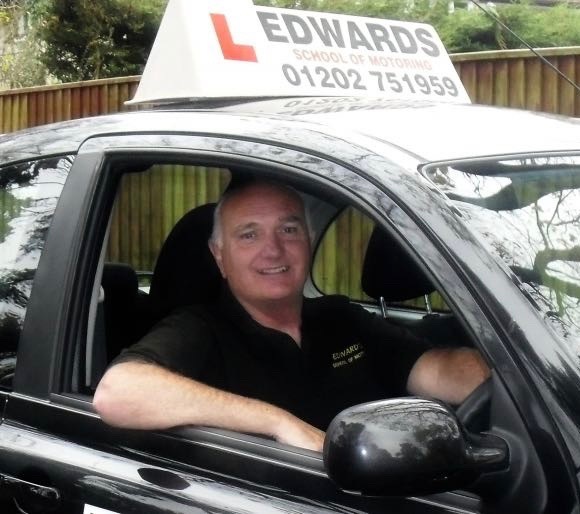 “I’m Steve Edwards, born and bred in Bournemouth and the the founder of Edwards Driving School. With over 35 years of teaching crash driving courses it’s safe to say I know what it takes to get you through your driving tests. Intensive driving courses are my speciality, and over the years I have perfected the art of teaching in this manner to get you driving test ready fast. What type of driving lessons in Christchurch do we offer? If you need any more information then please call 012020 751959 or contact us via email. Why choose Edwards Driving School for your driving lessons in Christchurch? We can fit in lessons to suit you, whether you’re a busy body and can only fit in an hour per week or are a Twynham Sixth Form student who would like to pass quickly in their Christmas holiday. Or pick you up from Grange School Sixth Form and then drop you at your friend’s house. You know what we mean. Safety first and all. We do this for your peace of mind, and ours! Dual controls are the two peddles on your driving instructor’s side when on your driving lesson. They are a clutch and brake lever. So if you can’t get in the right gear going up Bournemouth Road or something unexpected pulls out in front, rest assured you are safe. We know you’re only likely to learn to drive once so we try conduct the driving lessons in the most fun manner we can. What do driving lessons in Christchurch cost? We cover Christchurch and all surrounding areas including New Milton, Highcliffe, Brangsgore, Somerford, Holdenhurst and Mudeford.